You may receive updates from Workers Defense Action Fund, the sponsor of this petition. You may receive updates from Priscila Martinez , the creator of this petition. We, the undersigned, call on ICE San Antonio Field Director Dan Bible to immediately drop the ICE hold against Tania Silva, who is being held in Travis County Correctional Facility. We also urge Travis County Sheriff Sally Hernandez to ask ICE to use their discretion to drop the hold. Tania has schizophrenia and was arrested due to a mental crisis after she went missing from home for a day. She needs to be at a proper hospital where she can get the proper medical treatment and the ICE hold will keep her from getting necessary care. Tania, 21, is the daughter of Workers Defense member Rosendo Segovia. She has struggled with mental health issues for years but she has learned to manage them with medication and support from her doctor, her family, and her community. She graduated from Lanier High School in the top 10% of her class and is studying at ACC to be a veterinarian. She is a volunteer at Any Baby Can. Tania was arrested by the Austin Police Department after EMS was called to get help to stabilize her after she went missing and off medication for a day. Instead of EMS, three APD officers, including a mental health officer, responded to the call. Witnesses reported that she treated aggressively, and was tackled, hit in the back, and hogtied by police. She was then charged with felony assault on a public servant. Tania’s family hasn’t been able to see her since she was arrested on Thursday July 19th and during that time she has not received the proper medical treatment she needs for her complicated diagnosis. Tania is being charged with a felony for assaulting a public servant, but we believe her charges could be dropped due her mental state. However, because of the ICE hold, as soon as her charges are dropped, ICE will pick her up. If ICE takes Tania, she will not have the proper treatment she needs. Tania needs the proper medication with the right dosage. Her family hasn't been able to give that to her since last Wednesday July 18th, when they last saw her before her class at ACC. A legal advocate who has seen her says that she is in crisis, barely conscious, acting erratically, and unable to speak. She needs the support of her loving family instead of being taken further away from them in a detention center without the proper medical treatment. We, the undersigned, call on ICE San Antonio Field Director Dan Bible to drop the ICE hold against Tania Silva so that Travis County officials can act to make sure she is transferred into inpatient psychiatric medical care so that she can get the medical care she needs. ICE custody is no place for someone as sick as Tania. Furthermore, we call on Sheriff Sally Hernandez to ask ICE to drop the hold against Tania and transfer her into psychiatric hospital care immediately. We, the undersigned, call on ICE San Antonio Field Director Dan Bible to immediately drop the ICE hold against Tania Silva, who is being held in Travis County Correctional Facility. We also urge Travis County Sheriff Sally Hernandez to take necessary action to transfer Tania to medical care and drop the charges against her. Tania has schizophrenia and was arrested due to a mental crisis after she went missing from home for a day. She needs to be at a proper hospital where she can get the proper medical treatment and the ICE hold will keep her from getting necessary care. Tania was arrested by the Austin Police Department after a family member called EMS to get help to stabilize her down after she went missing and off medication for a day. Instead of EMS, three APD officers, including a mental health officer, responded to the call. Witnesses reported that she treated aggressively, and was tackled, hit in the back, and hogtied by police. She was then charged with felony assault on a public servant. Tania’s family hasn’t been able to see her since she was arrested on Thursday, July 19th and during that time she has not received the medical treatment she needs for her complicated diagnosis. Tania is being charged with a felony for assaulting a public servant, but we believe her charges could be dropped due to her mental state. However, because of the ICE hold, as soon as her charges are dropped, ICE will pick her up. If ICE takes Tania, she will not have the proper treatment she needs. Tania needs the proper medication with the right dosage. Her family hasn't been able to give that to her since last Wednesday, July 18th, when they last saw her before her class at ACC. A legal advocate who has seen her says that she is in crisis, barely conscious, acting erratically, and unable to speak. She needs the support of her loving family instead of being taken further away from them in a detention center without the proper medical treatment. 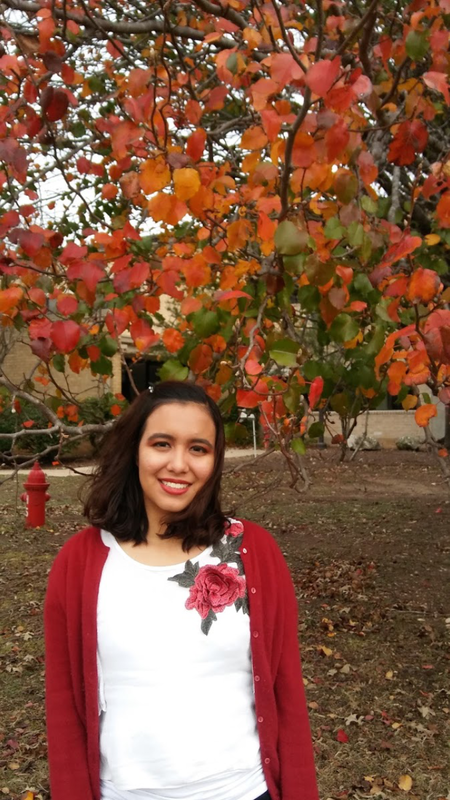 We, the undersigned, call on ICE San Antonio Field Director Dan Bible to drop the ICE hold against Tania Silva so that Travis County officials can act to make sure she is transferred into inpatient psychiatric medical care. she can get the medical care she needs. ICE custody is no place for someone as sick as Tania. Furthermore, we call on Sheriff Sally Hernandez to take the necessary steps to dismiss charges against Tania and transfer her into psychiatric hospital care immediately.